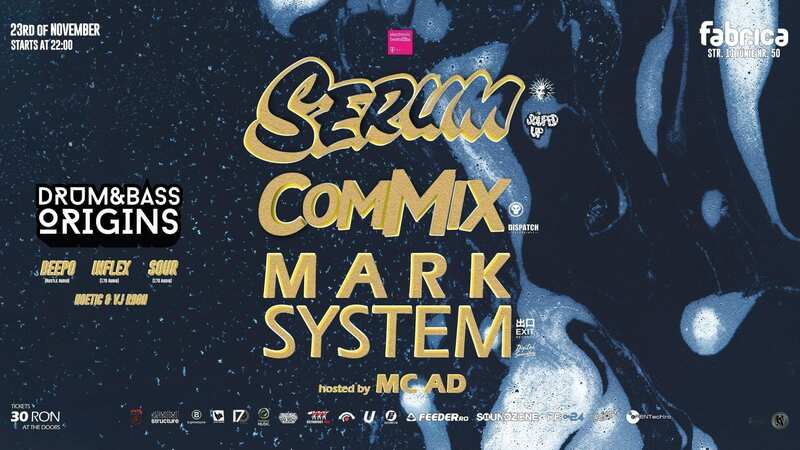 “With over 20 years of experience as a DJ and producer, Serum’s understanding of the history of D&B shines through in everything he does. It’s no surprise he’s the artist of choice when it comes to bringing a classic up to date, having worked his remix magic for legends like Roni Size, Dillinja, Mampi Swift and Ray Keith. “Commix is the 170bpm creative home for George Levings and formerly Guy Brewer. “Suburban North London, the location of Mark System’s family home in which he spent his formative years, is symbolic. Exposed to dance music by the city’s local pirate radio stations, the inspired young composer, performer and musician, experimented with keyboards, microphones and tape.